In less than a month NAMM 2016 will be bustling with the usual fervor. Every year brings something new, and for us here at Cycfi that means new opportunities to showcase our pickups. 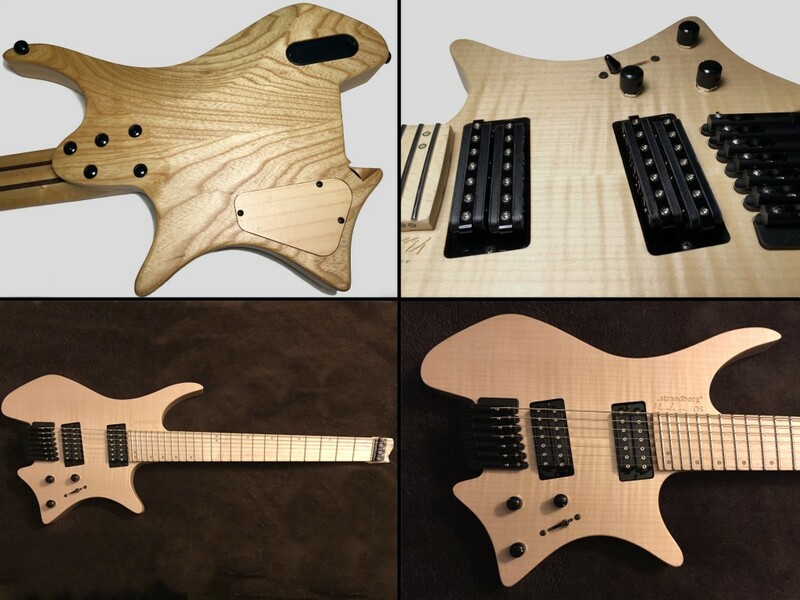 Among the new developments this year is an exciting cooperative effort between ourselves and Ola Strandberg, the mastermind behind Strandberg Guitarworks. 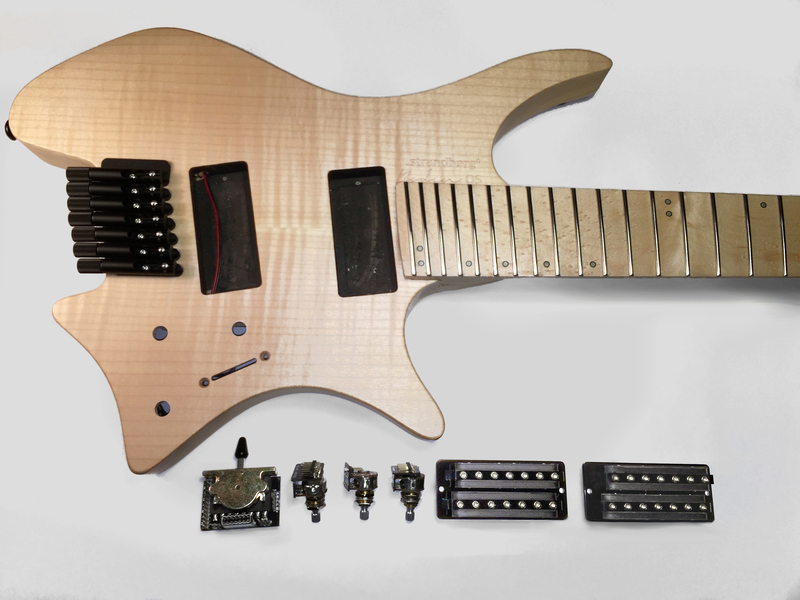 The Strandberg team has been kind enough to send us a Boden OS7 for the purpose of installing an XR pickup system and to subsequently showcase the instrument at the Strandberg booth at NAMM (#3383, Hall D) – exciting times indeed! Now that the installation has been completed we’d like to share the process with you. This has been a fun and rewarding project. 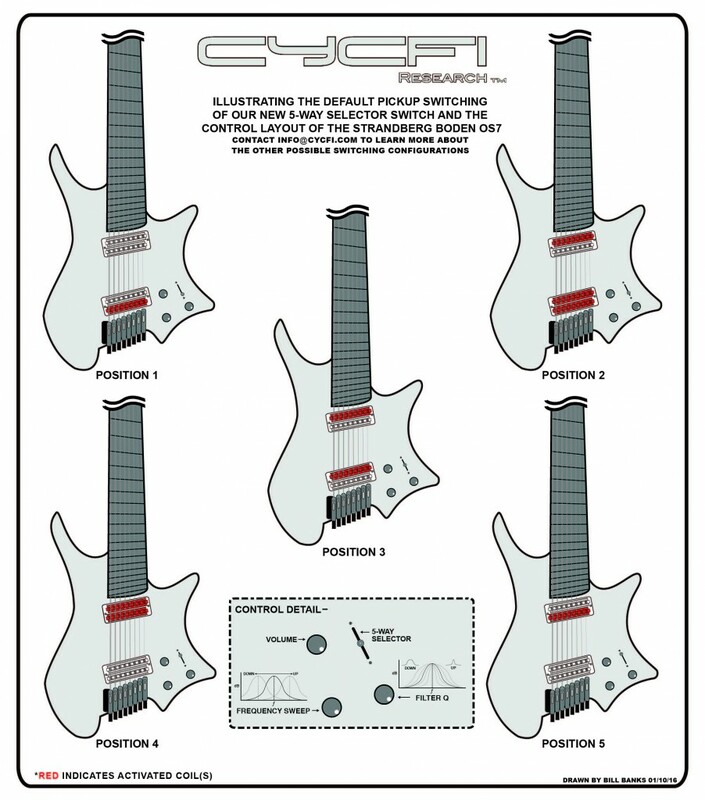 This is guitar also features the debut of our new customizable 5-way selector switch. 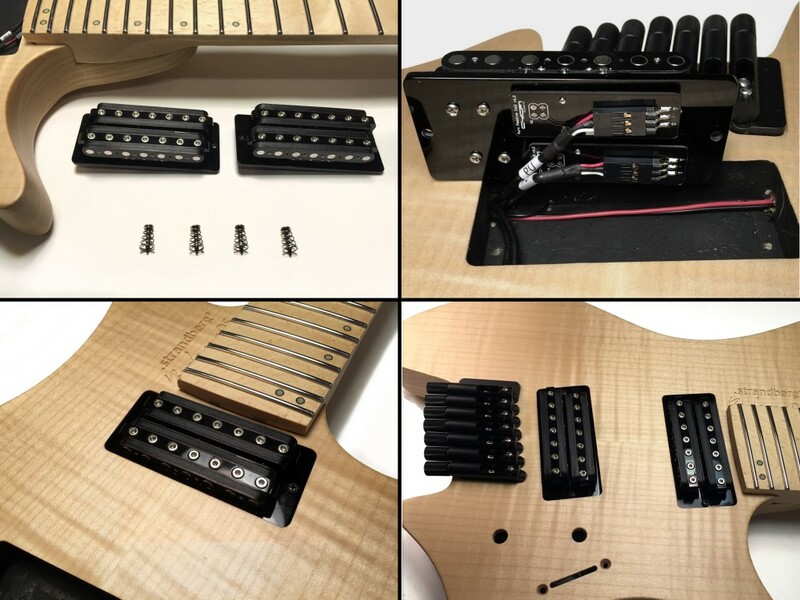 This new switch allows for expanded switching options and can accommodate up to 4 single-width XR passive pickups (e.g. HH, HSS, HS, and SSS). Here we see a diagram detailing the default switching configuration as well as the control layout for this particular build. A string ground needed to be added. This process was straightforward and took only a few steps to complete. First the high-E bridge assembly was removed (with note of the intonation positioning having been taken). Next a small hole was drilled at an angle to allow for the ground wire to pass through the body. The hole emerges in the bridge pickup cavity where the wire can continue on to the control cavity. The wire was run through the new channel, the end stripped then twisted and finally fed down the front bridge-mounting hole. When the front mounting screw was reinserted ground continuity to the bridge saddle and thus the string was established. The zero fret then extends the ground path to the remaining six strings. 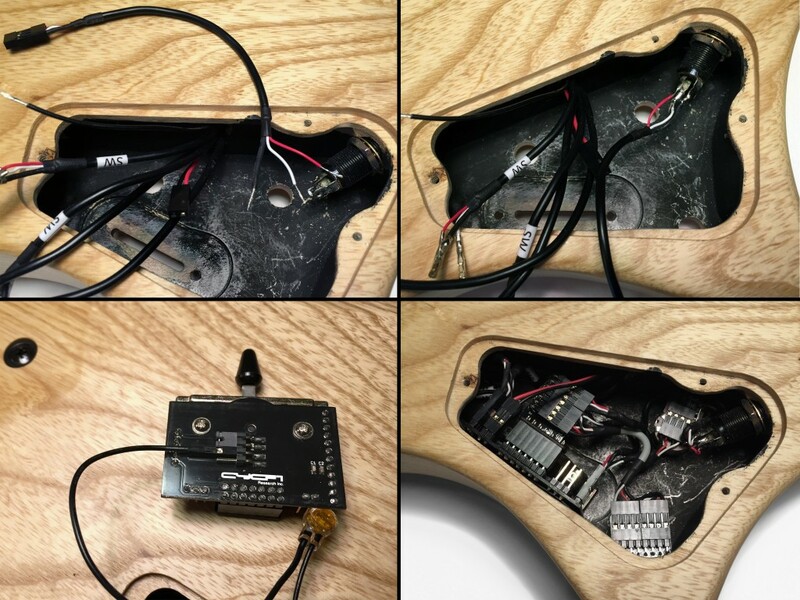 Once access to the pickup cavities was no longer needed the pickups were installed. The pickup connections were made with our solderless push-on connectors. Note was taken of the respective coil connections for reference when connecting the opposite end to the 5-way switch. 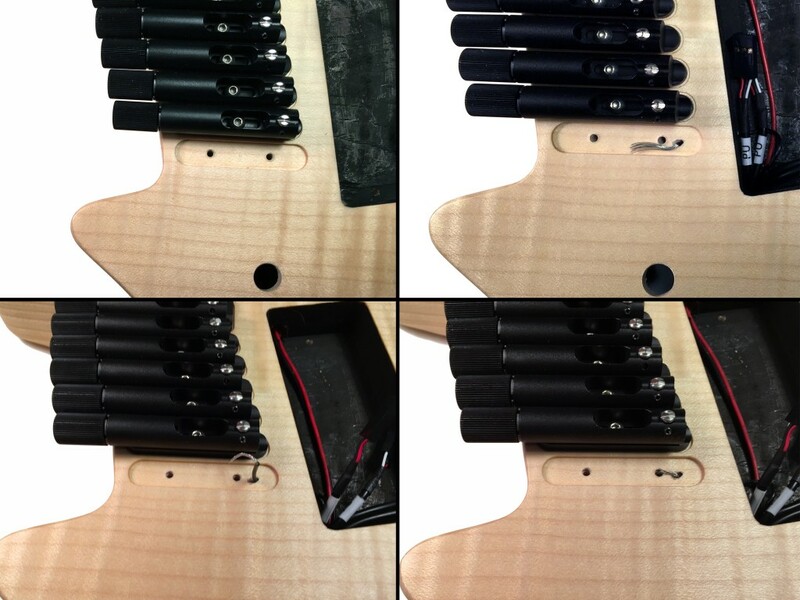 Once connected the pickups were installed using the standard height-adjustment screw/spring arrangement. As you can see, they’re a perfect fit! The backplate was reinstalled and the knobs and switch-tip added as the finishing touches. 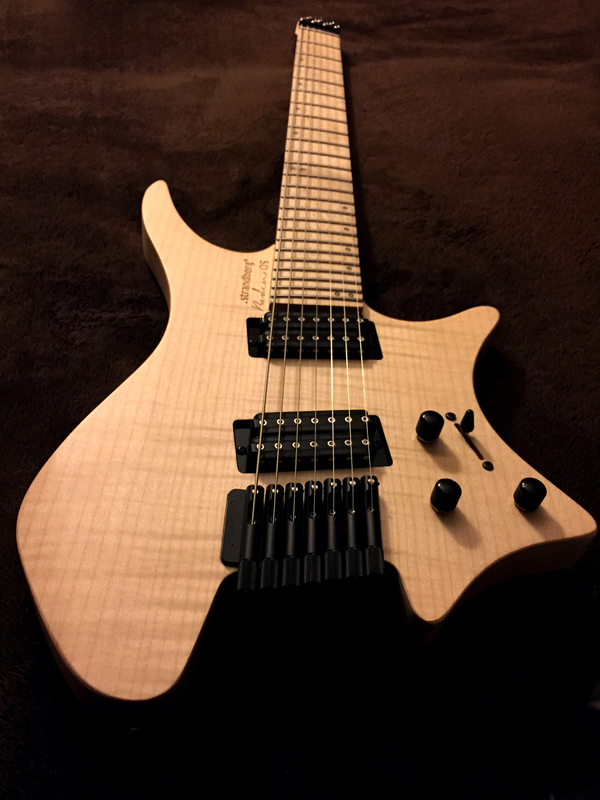 Lastly the guitar was strung with a set of Strandberg Optimized Tension Strings and the pickup heights dialed-in. 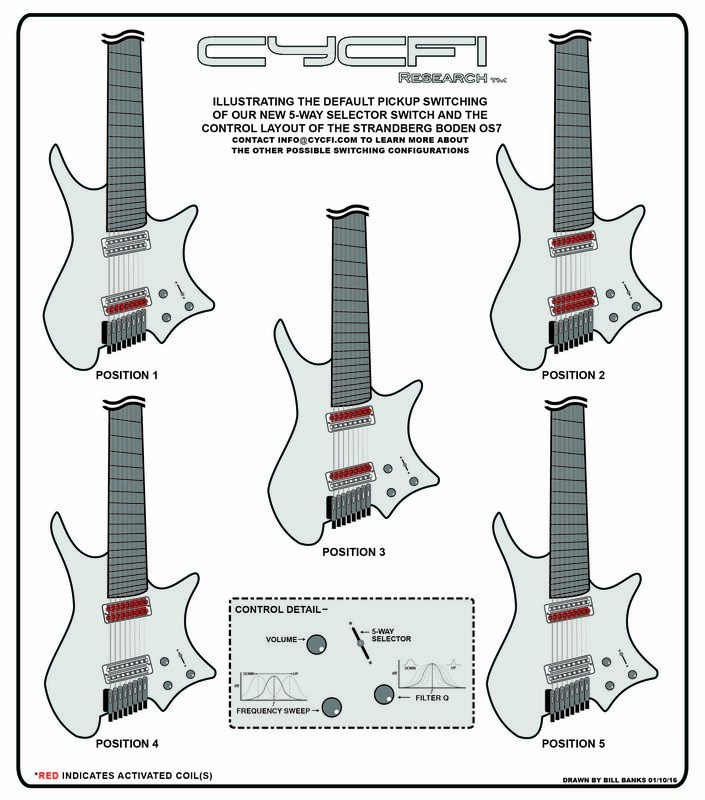 Note how the offset coils result in ideal polepiece alignment for the Boden’s multi-scale configuration. The initial tests were conducted on an Axe-Fx II through Genelec monitors and the results were nothing short of amazing! More posts will follow providing sound-clips and demonstrations of this incredible instrument. If you are fortunate enough to attend NAMM please visit the Strandberg booth (#3383, Hall D) and experience this guitar for yourself. Stay tuned for part 3 of our Road to Anaheim series.